Matrox Imaging Library (MIL) Classroom Training Scheduled for Spring 2016 | PSI Solutions, Inc.
MONTREAL — March 29, 2016 — Matrox Imaging is offering classroom training on the latest Matrox Imaging Library (MIL) processing tools and the MIL/MIL-Lite environment May 30 to June 3 at the Montreal, Canada headquarters. Participants who register before May 2 will save 20% on the cost of tuition. Matrox Imaging has considerable experience creating MIL training material to meet the needs of users whose specific requirements and/or development timelines will not permit them to attend scheduled classroom sessions. More information on custom training solutions can be obtained by emailing imaging.training@matrox.com. Established in 1976, Matrox Imaging is a leading developer of component-level solutions for machine vision, image analysis, medical imaging and video surveillance. Products include frame grabbers, vision processors, imaging computers, industrial and smart cameras, and application development software. 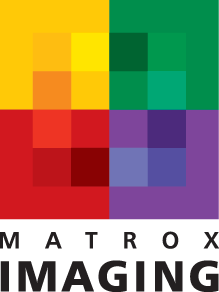 Headquartered in Montreal, Quebec, Canada, Matrox is a privately held company with offices in the United Kingdom, Ireland, Germany and Hong Kong. For more information, visit www.matrox.com/imaging/.